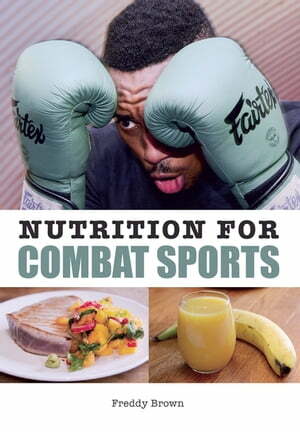 Collins Booksellers - Nutrition for Combat Sports by Freddy Brown, 9781785001543. Buy this book online. Eating specifically is an athlete's most effective weapon in the fight for fitness. An athlete simply needs to know what types of training need what servings of carbohydrates, proteins and fats. The intensity, duration and type of training all play their part, as well as a fighter's body weight and goals. A food-lover, however, wants to know what flavours and textures will excite their senses. This book gives you culinary artistry as much as it gives you scientific knowledge and practical advice. This practical guide to an athlete's nutrition requirements when training for combat sports will be of great interest to all combat sport athletes, coaches, dietitians and sports nutritionists, and is fully illustrated with 130 colour photographs.